increase competitive edge and positively impact the bottom line. 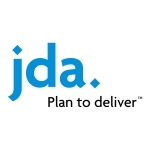 extend JDA’s leading solutions portfolio using APIs. officer, JDA. “This is the first big customer conference in the U.S.
and Çaglayan Arkan, Global Lead, Manufacturing & Resources Industry, Microsoft. Development Officer Desikan Madhavanur and Blue Yonder founder Dr.
into how AI and ML are helping them transform their business results. seamless customer experiences from end-to-end. platform, and understand how data science, ML and AI play into equation. “JDA” is a trademark or registered trademark of JDA Software Group, Inc.
name “JDA” is a trademark and/or property of JDA Software Group, Inc.